August 5, 2015 will be marked as one of the saddest days of my life. It was the day I found out my grandmother, Mildred Evans, had transitioned into Eternity. Sitting alone in a hotel room in Buffalo, New York I sobbed trying to face the reality of her death. She was 94 years old, and my tears weren’t those of wanting her to stay, but more so of love being taken from me. 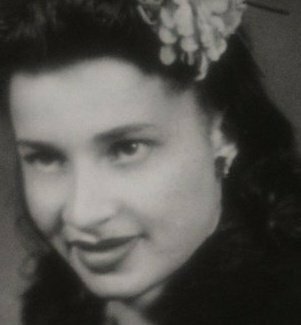 My father opted to be estranged from my sister and I; but my grandmother provided enough love to soothe the pain of his absence. She was the All-American Grandmother! She always had fresh cookies, new ceramics, toys, or an amazing hugs to give. She reminded us of how beautiful we were, and she gave us complete access to her pool anytime we needed it. #bestgmamaever She loved God as if her life depended upon it, and she made sure we knew about Him. She played the piano, and in between swimming and a snack break, I would catch her playing and singing hymns, the Blues, or whatever genre she wanted to hear. She was a gentle woman, and she never had to yell to get your attention. She accepted my relatives and friends as if they were her own grandchildren. She accepted my sister and I as if we were her own children. She loved us so, and it was no question about it. Alzheimer and Dementia came and robbed of her memory and quality of life. She put up a fight longer than most, and even in her affliction she displayed great strength. I’ll admit I didn’t visit often because my heart couldn’t handle what had become of the sweetest woman I had ever met in my life. So for that Grandmother, I apologize for being a coward and not having the emotional strength to come see you anyway. I just wanted to hold on to wonderful memories you effortlessly provided years prior to becoming ill. Thank you for your unconditional love and acceptance. It was great knowing someone loved us on our father’s side. From the writings of the granddaughter of the late Mildred Evans, Ms. Charity Porter. I love this so much sissy. I’m sure she’s smiling knowing you think so highly of her!